GVHD is serious, but there is treatment. Talk with your doctor about a treatment plan for you. Steroids, like prednisone, are the main treatment for GVHD. Steroids are a kind of medicine called an immunosuppressant. These medicines weaken the new immune system so your new cells don’t attack your body. Starting GVHD treatment as early as possible can lead to better results. Because your new immune system is weaker, you may be limited in what you can do, even if your transplant was more than 1 year ago. For example, you may need to avoid yard work and large crowds. Ask your doctor what you may need to avoid. Follow your doctor’s advice carefully. Don’t stop taking your GVHD medicine without letting your doctor know. If you can’t take them for any reason, tell your doctor right away. If you can’t swallow your medicines, you may need to get them through an intravenous (IV) line (directly into your bloodstream) temporarily. GVHD treatment works well for many patients. You may need to be treated for weeks or months because it can take time to find the best type and dose of medicine with the fewest side effects for you. Everett has been managing chronic GVHD of the skin for years. It’s been an ongoing challenge not only physically, but emotionally, too. He had a defining moment many years ago with his doctor. 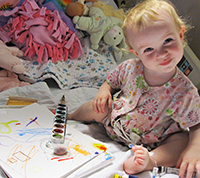 “After a frustrating time with my GVHD, I asked if she could just fix it and she said, ‘No. You have this.’ That’s when I really knew that this is something I would have to manage for life,” he says. It’s a realization that can be difficult for many people. 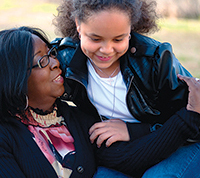 The Be The Match® Patient Support Center offers free confidential counseling services. 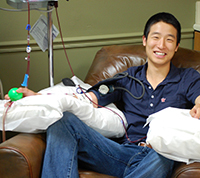 We provide one-on-one support by phone to help you and your loved ones cope with transplant and recovery. Write down how your feeling. For some people, writing in a journal can help make sense of their feelings about GVHD. Talk with other people who have also dealt with the effects of transplant. 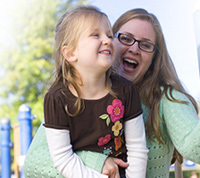 You can connect with another transplant recipient or caregiver through Be The Match Peer Connect program. Connect with friends and family. Share how you’re feeling with a trusted friend. Talk with a mental health professional, like a licensed social worker, a psychologist, or a faith leader. Talk about ways to cope that work for you.